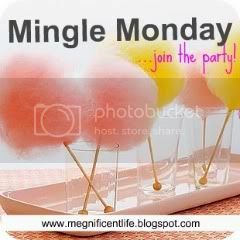 Life of Meg: Mingle Monday Weekly Blog Hop! Dear me, is it Monday already?! Well one thing is for sure, I am so glad that you dropped by for a little visit and some mingling! Please pass along the word to your friends... that would just hands down make my Monday!! One quick thing before we begin, I am headed to the doctor for a little check-up and procedure this afternoon (I may share later in the week). If you think about it, please send a little prayer up to the Big Guy on my behalf. I'm pretty anxious and nervous, so that would mean a lot. Looking forward to hopping around myself!! 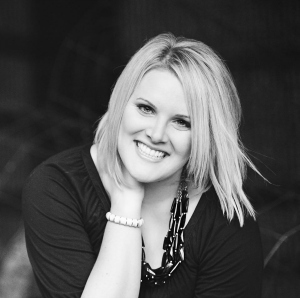 I can't thank you enough for being here (especially you new readers - WELCOME!!)! Have a lovely week, sweet friends! Good luck at the doctor! I hope everything turns out exactly as it should. Hello Meg, sending a prayer with confidence that things will be great with your doctor's visit and your health issues. I will be back in a little while to visit some blogs. About the relax part, I love to chill by the pool or the ocean, read a good book and catch some rays! just found your blog :) my favorite way to relax is to watch tv with the hubs...or read. good luck at the doctor! Prayers sent your way at the doctor! My favorite ways to relax are yoga and naps. Sent up a prayer for you. My fave ways to relax are yoga and watching movies. I've been a follower on your blog but this is my first time linking up. Following you on Twitter now too! My favorite way to relax is to do absolutely nothing :) Maybe do a little exercising. A glass of wine is my absolute FAVORITE way to relax. My favorite way to relax is doing yoga! I checked out O. Alouette, who also loves GCB probably as much as me (woohoo!). Can we say Plano, TX to a T?! Elizabeth at Permanently at Lunch finally just finished graduate school and has a "big girl" job. Woohoo! Hope everything goes well for you at the doctor, Meg! Relaxing is watching my favorite t.v. shows and catching up on blogs :) Bonus points if my husband is watching with me. Hi, I dropped by at Rachel's of Nothing Rhymes with Rachel and enjoyed her collection of wedding dresses,I cannot wait for my day. Laneshe at Nesheaholic had an interesting post on gender equality. Katies over at for Lauren and Lauren posted about her confused husband and I must say I feel this way about the BF as well.